With the way the economy is today, everyone seems to be looking for a way to cut their monthly expenses. 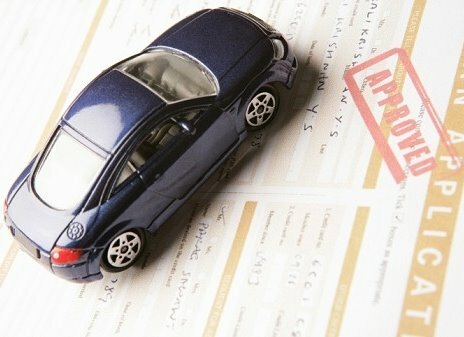 Besides a home mortgage, or rent, a car payment is probably the single biggest expense that a person has to deal with. The Federal Reserve has cut interest rates nine times in the last ten months, and there may not be a better time to refinance that auto loan that came with a high monthly payment. My husband did just that, and ended up saving our family a little bit of money each month. Eighty or ninety dollars may not seem like much, but every little bit saved helps us in the long run. He would have never needed a new truck if I hadn't totaled the van that he was using for work. However, I did wreck the vehicle, and the day after that, he went to our local Ford dealership and signed on the dotted line for a shiny new, silver Ford F150. The payment was $515 a month, which I thought was sort of steep- but I didn't really say a whole lot to my husband, because I figured that he knew what we could afford and what we couldn't. Besides, he was without a work vehicle, so he felt pressure to take the first loan offer he received. He made the payments for almost four months, but didn't seem to be paying down the balance too much. I looked at his monthly statement from Wells Fargo, the finance company that had given him the loan to purchase the truck, and I noticed that the interest rate was high. (29%- perhaps it was so high because of his tarnished credit?) That meant he was only putting a little over $300 a month toward the principal on the loan. I knew there had to be a better deal out there, and I encouraged him to look into getting his truck loan refinanced. He's not into research, and comparing prices, so I did all the "legwork" for him. I made phone calls, and got quotes from several online sources. The best deal was from Capital One, and they offered to refinance his loan at an 18% interest rate. While there was no application fee, and the closing costs were waived, he had to pay a prepayment penalty of $1400, or 10% of the loan balance. Now, over $400 of his monthly $515 payment was going toward paying the balance owed on the truck. That saved us almost a hundred dollars a month! Refinancing a car loan isn't as complicated as it sounds. With these simple tips, anyone can lower their monthly payment. Look over your loan carefully. Some lenders charge an early payment penalty, so read your agreement and make sure that you actually have the option to refinance. Understand the difference between used-car interest rates and new-car interest rates. Some lenders only extend financing offers to those who have taken out loans on new cars. It's important to do the research, so you don't end up paying more than you did to start with. When in doubt, consult a professional. Auto loan refinancing can have quite a few hidden costs, so make sure that it will really benefit you financially. Some lenders will offer a low, "teaser" interest rate, but then slap you with outrageous application fees. A professional can sit down with you and show you how to tell if you're getting a good deal. If you're almost done paying your current loan, you might want to reconsider refinancing. The average car loan goes for 3 to 5 years. Trying to refinance within the last one or two years of the loan would make the payment period longer, and most likely add a few thousand dollars in interest and other charges to the cost of the vehicle. Call your current lien holder, and ask how much it would cost to pay the entire loan off. Check your credit, and make sure there are no errors on your report. Lenders will base your new interest rate on your credit history, score, and record of payments made. Make sure your insurance is up to date. You won't be able to get the refinanced loan if your insurance coverage is called into question. Make sure the lien was paid. The Department of Motor Vehicles will record any lien holder on a vehicle, both the original lender and the refinancing lender. When the new loan is given, the first lien holder is supposed to give notice that their lien has been paid off. Now isn't the time for clerical errors! Don't pay for a vehicle appraisal, either. Most cars lose value pretty quickly, so you wouldn't want a loan denied because the loan amount is more than the vehicle is worth. Stay away from any lender who tells you that you have to pay for an appraisal, or any other kind of up-front fee. While there are fees involved in changing the automobile's title to show the new lien holder, the loan application and ensuing credit check should always be free. Be especially wary of any lender who claims they can give you more than the balance on your loan. Look over the loan paperwork very carefully, and never sign a blank contract. If you have unfavorable terms with your current car loan, refinancing is most likely a good idea. If you're able to refinance, cool! But don't squander the opportunity to get ahead. Pay a little more than the minimum each month, but less than what you were paying before you refinanced. Doing so will get the loan paid off sooner, and it will build car equity faster. I've used Capital One in the past, to finance a used car I bought on eBay back in 2004. They gave me a fair rate, and I really liked the blank check feature. I was disappointed when I tried to refinance my current loan with Capital One. My options were limited, and since the refinance was only going to take a few dollars off my current monthly payment, I decided not to bother. Refinancing is really a savior, thanks for telling us about this. Refinancing your existing mortgage is perhaps the easiest and most logical way to help save you from foreclosure. Consolidating your debt by Refinancing your home and using the money to pay off credit card (and other) bills is a great way to save money. Refinancing helps in taking advantage of better interest rate for a reduced monthly payments. It really helps to overcome the debt in a short and simple manner.